At her aesthetic surgery practice, Los Angeles plastic surgeon Christine Petti, MD, FACS is dedicated to total vein care, which includes the proper diagnosis and effective treatment of both varicose and spider veins. With the help of her experienced, highly trained staff, Dr. Petti develops customized treatment strategies for each patient, with the ultimate goal of eliminating painful and/or visibly prominent leg veins. Dr. Petti offers a full range of minimally invasive and non-invasive vein procedures that are appropriate for achieving optimal outcomes for both her female and male patients. In a normal leg vein, one-way valves keep blood flowing continuously towards the heart; however, aging, weight gain, hormone fluctuations, and/or genetics can often cause these valves to weaken. Over time, blood may collect and become congested in the veins, creating varicose veins. As these varicose veins become more pronounced, men and women may notice their feet and legs becoming fatigued, achy, heavy, and swollen. The veins may also become visible at the surface of the skin, causing discoloration and protrusions. Dr. Petti is able to effectively treat the discomfort and appearance of varicose veins with a number of state-of-the-art technologies, including radiofrequency ablation (VNUS Closure), ambulatory phlebectomy, sclerotherapy, and laser vein therapy. Caused by the same valve failure as varicose veins, spider veins are thin, reddish-purple veins that are visible primarily on the legs and face. Most often, they cluster on the thigh or just below the knee. These wavy veins affect nearly 80% of all women as they grow older, as well as a large percentage of men. Our practice offers sclerotherapy and laser vein therapy to effectively treat spider leg veins for more beautiful skin at any age. What Vein Treatments Can Help with Varicose Veins and Spider Veins? Innovations in vein treatment technology have made it possible to eliminate diseased veins with minimal discomfort and recovery time. 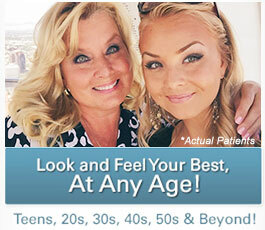 Many of the options we offer are virtually painless and treatment plans can be fully customized to meet the unique needs and goals of each patient. Each individual who comes to our cosmetic and laser surgery center with leg vein concerns generally requires multiple therapies to achieve thorough treatment of all vein types. The VNUS Closure® procedure is a state-of-the-art, minimally invasive technique to treat varicose veins resulting from a condition known as venous reflux. Venous reflux is a frequent cause of painful varicose veins. Using ultrasound to scan your legs, Dr. Petti will determine if venous reflux is present. If reflux is present, you may be a candidate for The Closure® procedure. 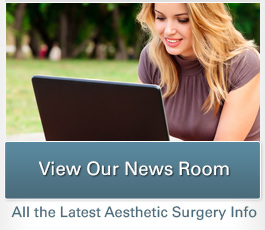 This procedure has replaced the old fashioned and radical treatment of vein stripping. The Closure® procedure is performed on an outpatient basis. Using ultrasound, Dr. Petti will position The Closure® catheter into the diseased vein through a small opening in the skin. The tiny catheter delivers radiofrequency (RF) energy to the vein wall. As the RF energy is delivered and the catheter is withdrawn, the vein wall is heated to a very precise temperature, causing the collagen in the wall to shrink and the vein to close. Once the diseased vein is closed, blood is naturally re-routed to other healthy veins. To achieve good cosmetic outcomes, Dr. Petti often provides adjunctive treatment(s) either at the same time or following The Closure® procedure. Patients who undergo The Closure® procedure typically resume normal activities within a day. In the vast majority of cases, The Closure® procedure results in a desirable cosmetic outcome with minimal to no scarring, bruising, or swelling. Ambulatory phlebectomy is an outpatient, minimally invasive procedure designed to remove superficial varicose veins that are visible at the skin’s surface. During the procedure, a local anesthetic is applied to the treatment area and the targeted veins are removed through small incisions in the skin. Once the process is complete, patients are able to return home immediately and usually resume their usual activities within a day. Some bruising, swelling, and minimal discomfort may arise; however, the healing process is typically very swift. As a woman, Dr. Petti understands what it means to want more beautiful legs. Our practice uses state-of-the-art lasers, which have shown remarkable success in treating varicose veins and other vascular conditions that were once thought to be untreatable without surgery. They work by delivering light energy to the treatment site, which is absorbed by the targeted blood vessel. The light energy radiates heat, causing the unwanted veins to collapse. Highly effective in treating spider veins in legs, sclerotherapy eliminates visible veins with a minimum of discomfort and treatment time. Dr. Petti will use a very thin needle to inject a painless solution into the affected veins, causing them to collapse and disappear. Depending on the size of the area to be treated, sclerotherapy sessions generally last between 30 and 45 minutes. Patients may return to their normal daily activities immediately after sclerotherapy, although Dr. Petti will ask you to wear compression stockings for a few days to aid healing. If you suffer from varicose veins or spider veins, Dr. Christine Petti can use sclerotherapy and other non-surgical cosmetic treatments to give you more beautiful legs. Contact our office today to arrange a consultation.